It is one of the favorite and recreated characters of DC Comics now. And, as a fan of superheroes from DC Comics, you should make every attempt to own the Stephen Amell Green Arrow Jacket. The first jacket that you see, which Stephen Amell wore in Arrow, is from the first season. 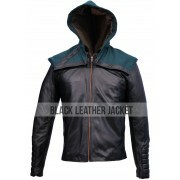 This Green Arrow Hoodie Jacket features a detachable hood, one of the most unique qualities you will ever witness in a jacket. 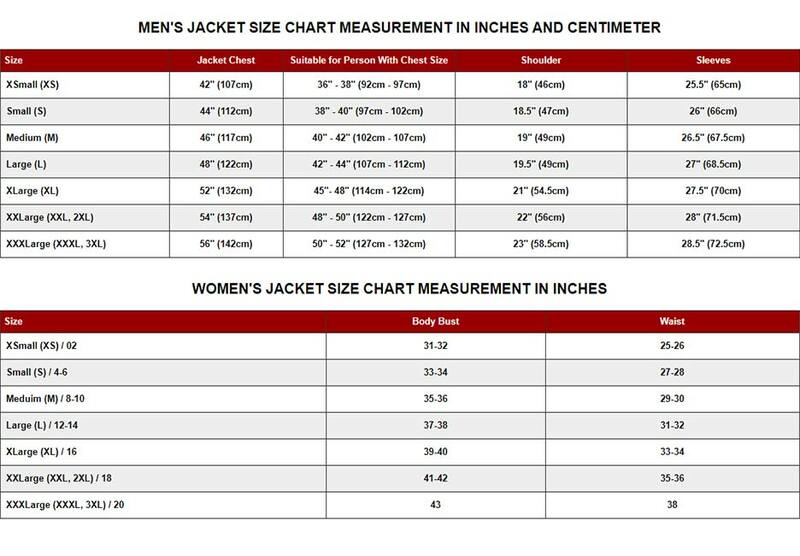 There is a front closure with a zipper fastening it and two outer pockets. A lining of viscose and two inner pockets are featured on the inner portion. 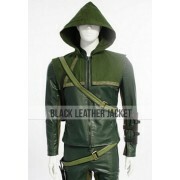 The next outfit that we have for you is the Green Arrow Season 4 Hoodie Jacket worn by Stephen Amell. This was seen in the fourth season, as Oliver Queen looked more relatable to the comic book character. The vest comes with the gauntlets and can be perfect for cosplay. A hood is featured and a zipper closure. There are pockets on the inside and has the necessary detailing to suit the original look. In the fifth season, Stephen Amell went for a more tactical suit. In that season, he wore the Green Arrow Season 5 Hoodie Jacket and had much more detailing as compared to the previous two costumes. 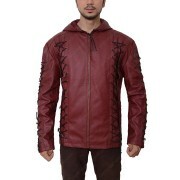 We have recreated it to match the television show’s outfit and make it convenient for you. The convenient factor comes in the form of two pockets on the inside with viscose lining. The Smallville television series made its legacy by introducing the Justice League members on the small screen. However, the focus was also on Green Arrow. 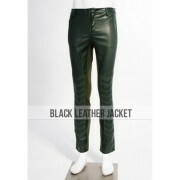 It was worn by Justin Hartley and is made from faux leather. There is a zipper closure and two pockets. The black and green detailing doesn’t get any more authentic looking that this. Not only the zip closure but also the belt is featured at the bottom.